Finding a good clean used car these days is pretty easy. However, finding the most reliable used cars under $5000 takes a bit more research. Luckily for you, researching these things is what we do. Our valuations here are based on Kelley Blue Book’s private party estimates for models in excellent condition. As always, we strongly advise commissioning a very thorough pre-purchase inspection by a trusted professional mechanic; one familiar with the object of your intentions. Acura’s follow-up to the highly regarded Integra was particularly noted for its sharp handling, free winding engine, and strong build quality. Of course, given the model’s Honda bloodlines, utter reliability and superior engineering are simply inherent to its genetic makeup. For these reasons, it makes our list of the most reliable used cars under $5000. 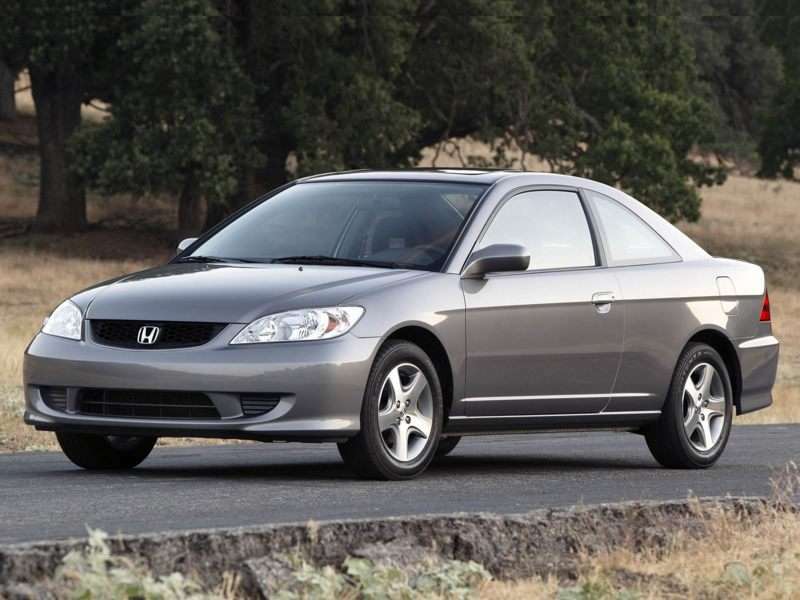 Changing the name of the sporty coupe from Integra to RSX invoked the aura of Acura’s mid-engine exotic NSX model, and the RSX certainly lived up to the reputation for sportiness inspired by its more accomplished sibling. 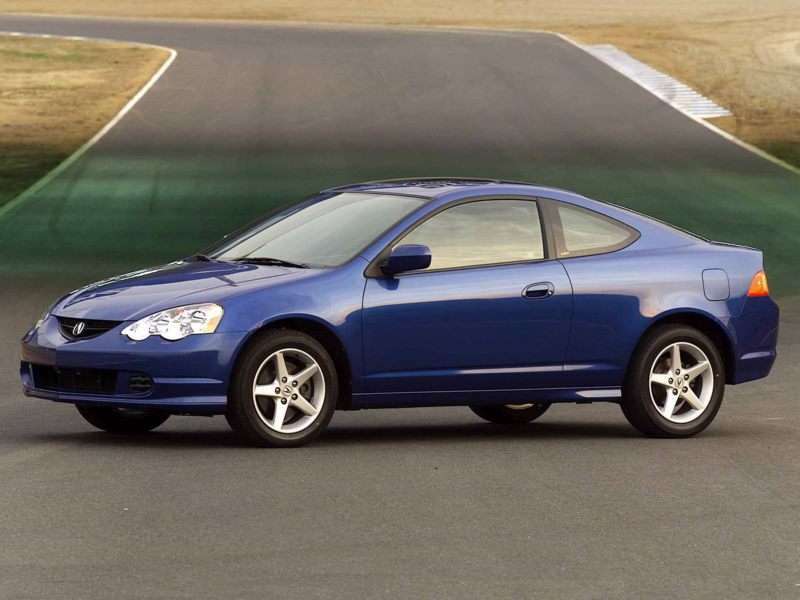 Power for the 2003 Acura RSX came from a 2.0-liter 16-valve inline four-cylinder engine good for 160 horsepower and 141 ft-lbs of torque. The Acura’s front-wheel drive powertrain used a five-speed manual transmission as standard equipment, a five-speed automatic was optional. 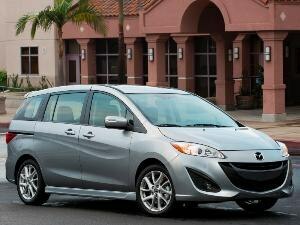 Looking for something with outsized presence, good utility, and a dynamic driving experience? The 2005 Dodge Magnum is the station wagon version of the Dodge Charger and Chrysler 300. 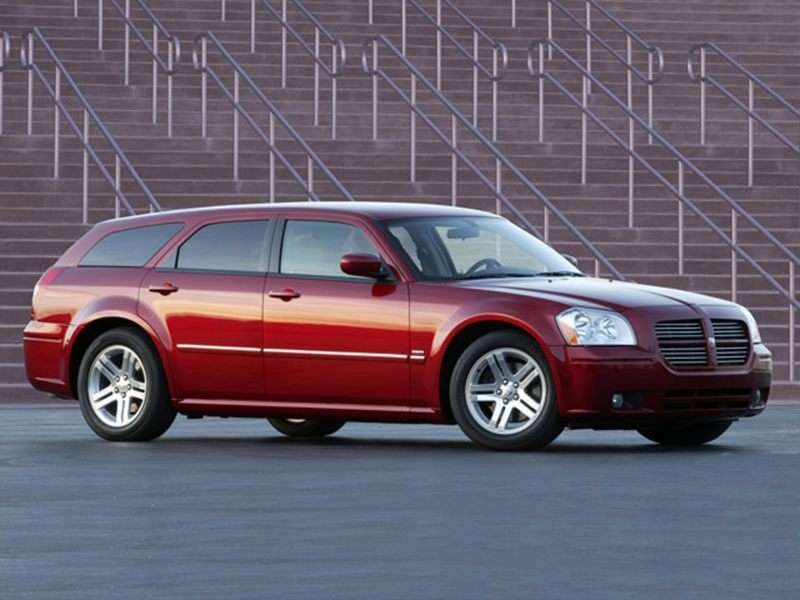 With its powerful lines, solid stance, and unique visage, the Dodge Magnum is one of the most confident looking cars ever offered to the general public. It also came hooked up pretty nice. Standard features included alloy wheels, full power accessories, keyless entry and cruise control. Given the relatively low price being asked for the Magnum these days, you might even find one with such upscale features as automatic climate control, navigation, a V8 engine and/or all-wheel drive. The base engine was a 200-horsepower 2.7-liter V6; the middle engine was a 250-horsepower 3.5-liter V6. The V8 displaced 5.7-liters and made 340 horsepower. The V6 engines got four-speed automatic transmissions while the V8 got a five speed. There’s a reason taxi companies and police departments hold the Ford Crown Victoria in such high regard. These things are as near indestructable as any automobile in the history of automobiledom has ever been, or ever will be. Crown Vics don’t die, you have to kill them. And, you’ll go well in excess of 300,000 miles trying to do so. Tried and true, the regal Crown Victoria’s mechanicals remained largely unchanged for the vast majority of the full-sized Ford's lifespan. 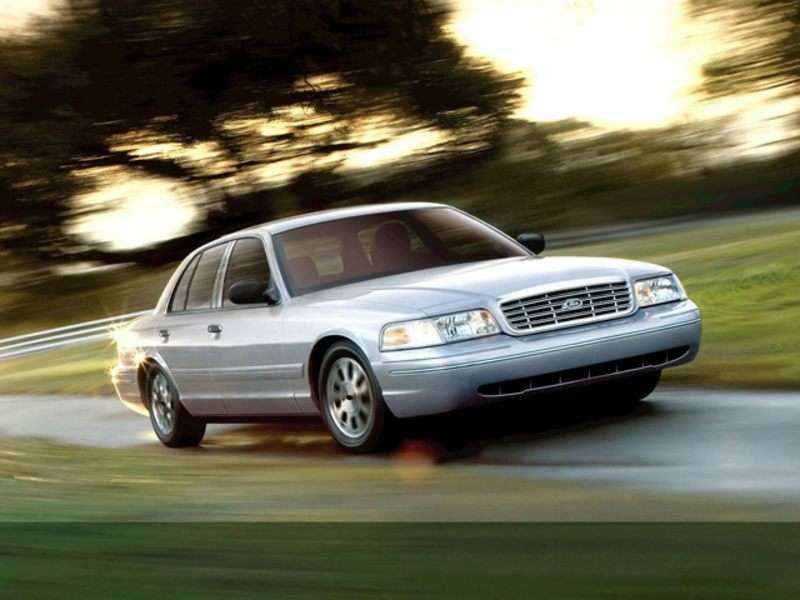 Ultimately, the last of the large rear-wheel drive full-size sedans (to date) from Ford, the Crown Victoria will serve you well as one of the most reliable used cars under $5000, as long as you don’t mind other drivers instinctively getting out of your way on the highway—a by-product of the model’s law enforcement associations. Power came from a 224-horsepower 4.6-liter V8 with 272 ft-lbs of torque. A four-speed automatic transmission came standard. Absolutely cutting edge, and a runaway best seller when it was introduced back in 1986, twenty-one years later, the Ford Taurus faced significant competition in the mid-size four-door sedan category. 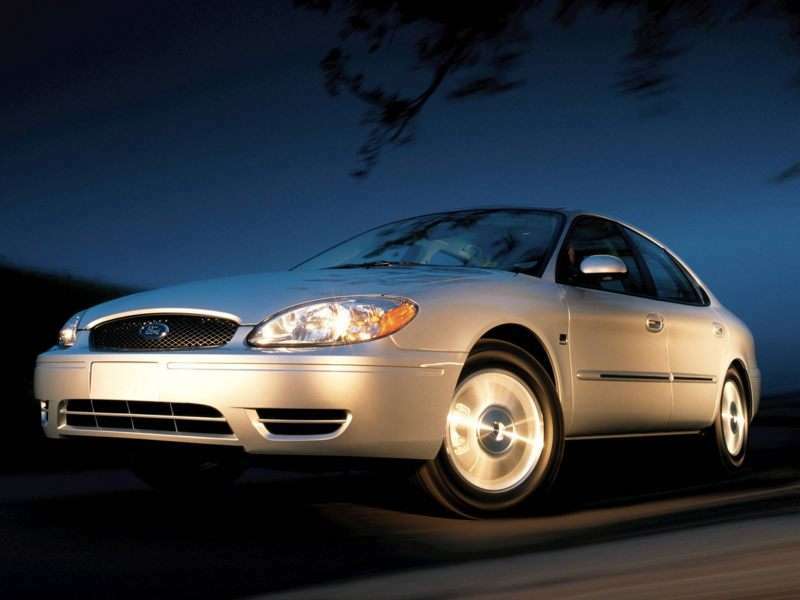 Despite the competitive atmosphere back in the day though, over the long term Taurus has proven to be one of the most reliable models among its peer group—making it one of picks for the most reliable used cars under $5000. If you are looking for a safe car in this price range with lots of interior space and a roomy trunk, you’d do well to consider the 2007 Ford Taurus. It should be noted the 2007 model was originally available only for fleet purchases. Power came from a 3.0-liter V6 with 153 horsepower and 185 ft-lbs of torque. A four-speed automatic transmission was standard equipment. Hondas have a richly deserved reputation for hanging tough, as long as they’re properly maintained. The Accord, being the top Honda model (before you get into the Acura lineup) feels like a considerably more expensive car. 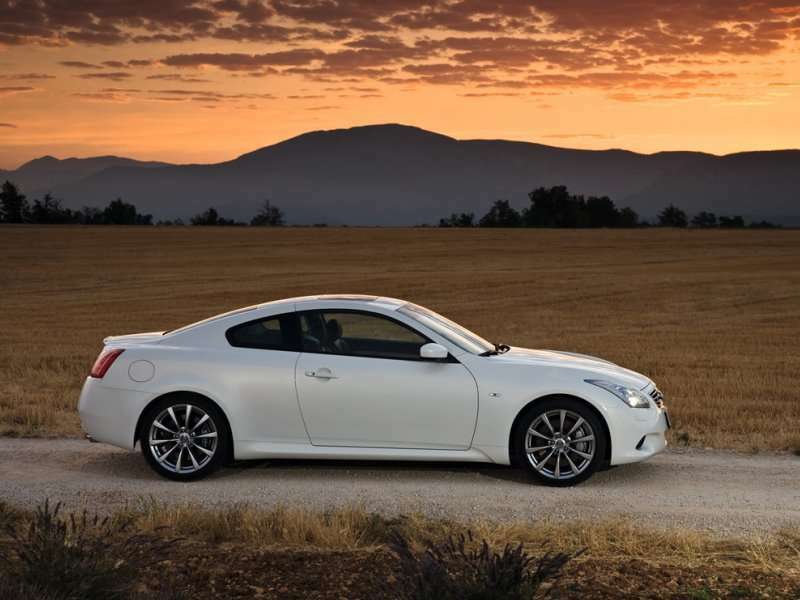 Outstanding smoothness, quiet, reasonably capable handling, a spacious interior and a roomy trunk are but a few of the many plusses associated with the revered model. It’s safe to say the Honda Accord is one of the automotive industry’s brightest stars. 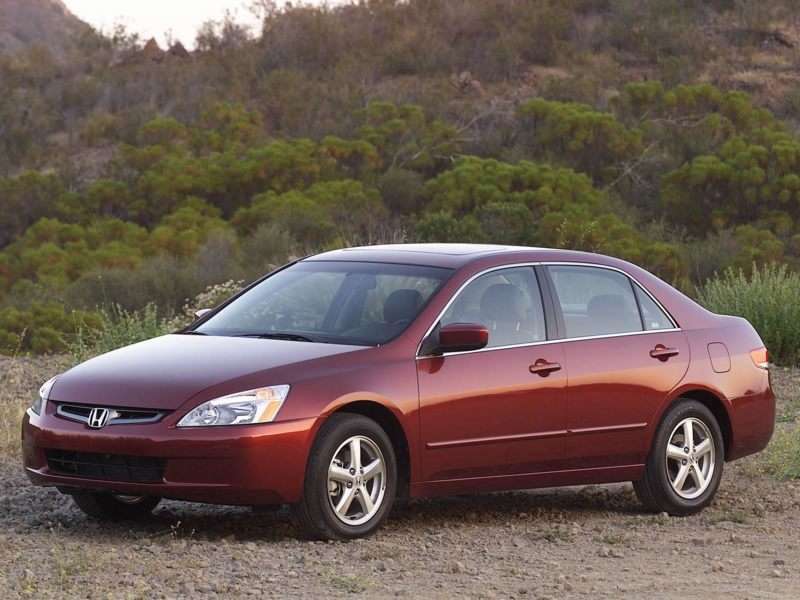 The base powerplant for the 2004 Honda Accord was a 160-horsepower 2.4-liter inline four-cylinder engine. A five-speed manual transmission and front-wheel drive were standard equipment. A six-speed manual was offered as an option. Another model serving as the standard by which others in its category are measured, the Honda Civic can trace its history in the United States all the way back to 1973. Routinely numbered among the most fuel-efficient and ecologically friendly cars on the market, of course the Honda Civic can be found on our list of the most reliable used cars under $5000. 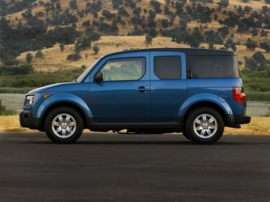 For the 2005 model year, a 115-horsepower 1.7-liter four-cylinder engine powered base models. Standard features on the 2007 Honda Civic LX included keyless entry, cruise control, power windows, power door locks, and power-adjustable exterior mirrors. The 2007 Honda Civic performed admirably in crash testing, racking up the highest possible ratings. 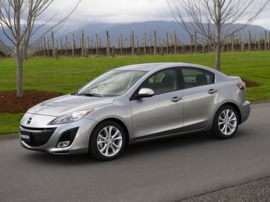 While the driving experience for the base models was somewhat less than enthralling, the car was quiet, rode smoothly, and was built to a high standard. 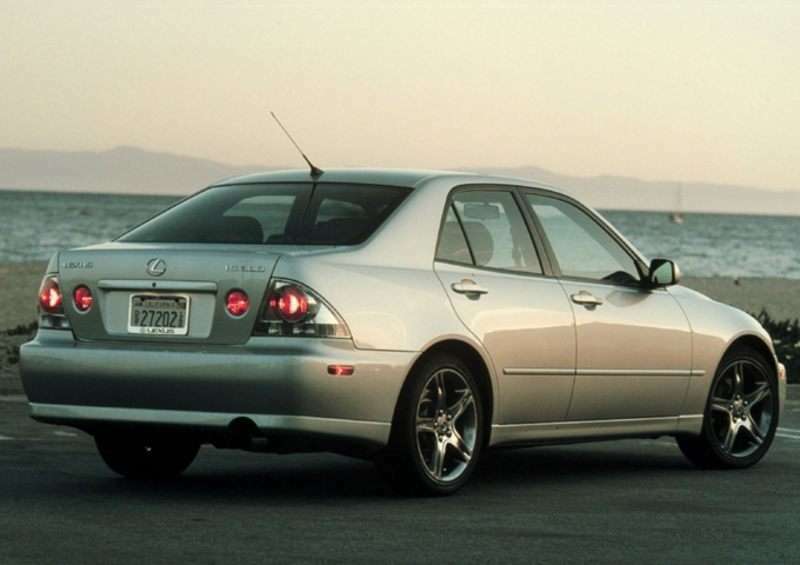 Introduced in 2001 to give some competition to luxurious entry-level German sport sedans, the Lexus IS 300 was one of the first shots fired in what ultimately became the performance car war between Lexus and all other luxury manufacturers. Prior to the introduction of the IS 300 in 2002, Lexus was known primarily for exceptionally polished luxury sedans intent on delivering quiet, comfort, and smoothness. The rear-wheel drive IS 300 came along and suddenly Lexus was in the compact sport sedan business. As a result, if you find a good clean 2002 Lexus IS 300, you’ll get a remarkably well-handling car with a very willing engine, a reasonably spacious trunk, and arguably rakish good looks. 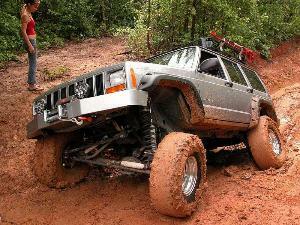 Power came from a 215-horsepower 3.0-liter double overhead cam inline six with 218 ft-lbs of torque. 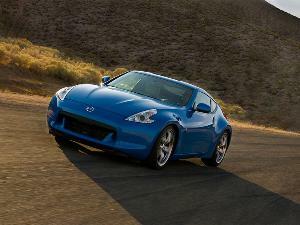 A five-speed automatic transmission completed the powertrain. The answer to the age-old question, ”What’s the best year of any given sports car to buy used?” has always been "The newest one you can afford." If you’re looking for one of the most reliable used cars under $5000 and you’re specifically talking sports cars, you have but two choices if you’re looking for rock solid reliability in a convertible two-seater. Mazda’s universally admired Miata MX-5 is one of them. With its delightful handling, and peppy engine, as well as the easiest to use convertible top ever fitted to any car, the Mazda MX-5 is God’s gift to sports car intenders. Power for the 2003 model came from a 182-horsepower 1.8-liter double overhead cam inline four-cylinder engine good for 125 ft-lbs of torque. Now before you dismiss this as anemic, keep in mind the 2003 Miata’s curb weight was a mere 2,387 pounds. 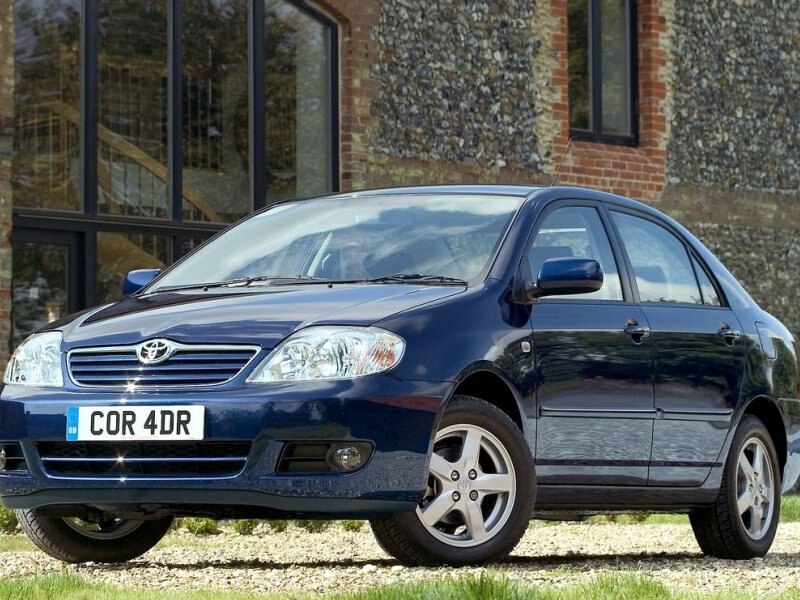 We suppose it was inevitable the final two positions on this list of the most reliable used cars under $5000 would be occupied by Toyota. What’s more, it should also be expected that one of those two models would absolutely be the Toyota Corolla. If ever a more dependable car has ever been manufactured for sale to the general public, we really would like to see how much it costs. The truly mindboggling thing about the Corolla is that its uncanny longevity comes at a price so reasonable; pretty much everybody with any kind of a gainful employment situation can afford one. What’s more, Corollas hold their value like crazy. Even with their starting price of around $17,000, and the hundreds of thousands of copies sold every year, you still have to go all the way back to the 2005 model year to find a good clean one for under $5000. 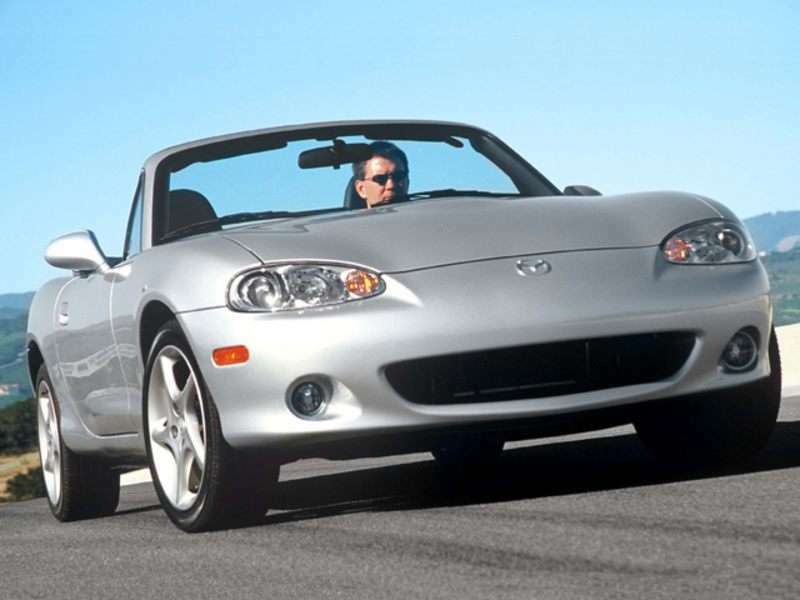 One of the smartest things Toyota’s engineering team ever did was take one of its front-wheel drive powertrains and install it behind the seats in a small roadster to drive the rear wheels to create a budget-priced two-seat mid-engine sports car. 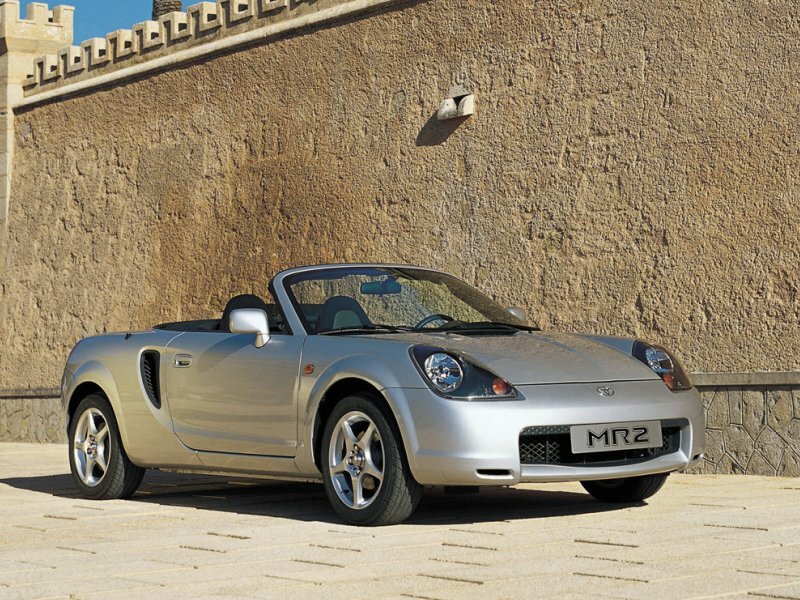 By the time 2002 rolled around, Toyota had done this twice before; however this was the first time the MR2 was offered with a convertible roof, and the first time the marque went straight for primarily pleasure use. You see, the MR2 Spyder eschews a trunk or any truly usable storage space inside the car. Basically, you buy the MR2 Spyder for one reason—the joy of driving. Power came from a 138-horsepower 1.8-liter double overhead cam four-cylinder engine good for 125 ft-lbs of torque. 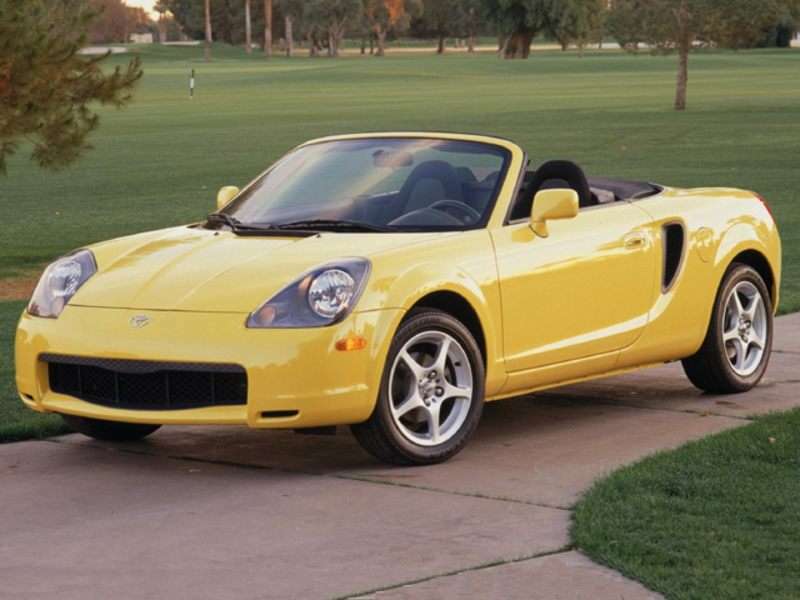 With a curb weight of only 2,195 pounds, the 2002 Toyota MR2 Spyder was plenty quick enough to ensure good times behind the wheel.